What is the Shoebox About? 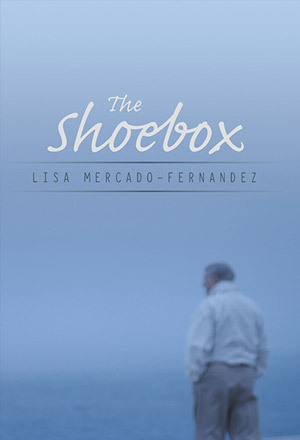 The Shoebox takes us into the life of Peter Michaels in three different stages. We first see him as a young man in his 20’s finding love. In the second stage, we meet Peter now in his 40’s and as an up and coming architect in the heart of Boston where he is a few weeks shy of his marriage to a fashionable socialite. The third and final stage takes place with Peter being in his 70’s dealing with his regrets and failed attempts to be with the love of his life. I wish to stress that the story is beautiful and poignant and touching and not a depressing journey for my readers. Yes there is sadness but there is also so much joy surrounding this character’s life, as in each and every life on this earth has a bit of both. A few months after the release of my book I received an email from a gentleman from Missouri. I saved it in my computer planning to print it out and save it in the near future. I unfortunately lost the email a few months back when my computer had a malfunction in which I lost hundreds of photos and information. So this is pretty much what I remember from the email. It went something like this. When my wife approached me about your book and how she desperately wanted me to read it I did what every man’s man would have done. I put it off. But after several weeks of nagging I folded like any one in love with their spouse would have. I would never have dreamed that I would have been immersed so quickly into what I thought was a book that my wife loved but might not interest me. I found myself captivated with the story and most of all, with Peter. He then continued to tell me about himself. He was in his 70’s and a retired architect. Yes you heard that right. An architect. What are the odds? He said he had fallen in love with his wife in his early teens and they had been together ever since. What touched me most about his email was that he complimented me on writing in a male perspective and point of view. He said that I had captured not only Peter’s voice but had succeeded to truly express what someone in his age group could relate to. He also loved how my love for architecture was apparent and he said it was very believable throughout the story. Now don’t get excited, I really don’t know much about architecture but I am trying to learn. I have don’t quite a deal of construction on my own farmhouse and have learned just from the experience a few things here and there. I researched a few of my favorite architects when forming Peter’s character and since then have devoured several architecture books. I can talk about transoms and arches and chat about restoring, period correct additions and keeping the integrity of an old federal or a greek revival but I have a long way to go in being well versed in the world of architecture. In closing the gentleman proceeded to tell me about the love he had for his wife and he confessed that he couldn’t bare ever loosing her even after all these years and that’s why Peter’s story had resonated with him. I loved that email and it was the first validation for me as a “newby” in to the literary world. Working With My Editor. . .
Scott Ryan, writer, director, blogger and friend.